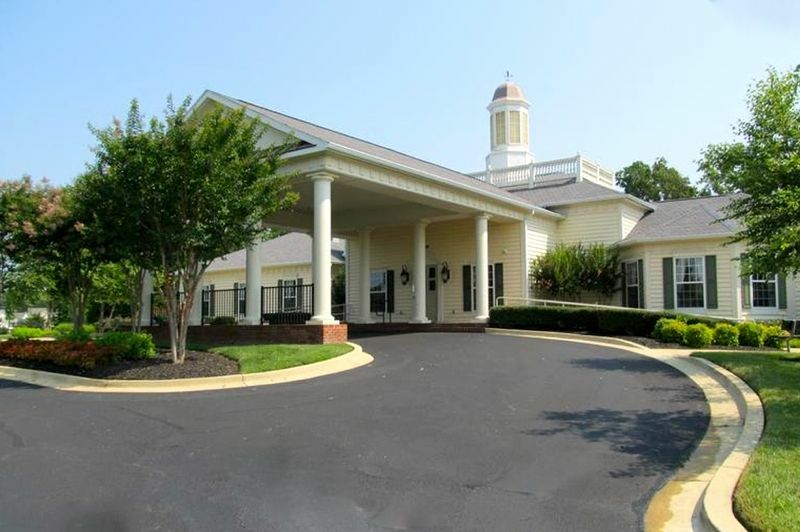 Heritage at St. Charles has a convenient location and all the amenities that cater to the 55+ homebuyer in Maryland. For bustling active adults who aren't looking to slow down anytime soon, Heritage at St. Charles in White Plains, Maryland offers beautiful new and resale homes, spacious living spaces and a variety of amenities and activities designed to get to know your fellow neighbors. Lennar Homes began construction of the community in 2006 and, when completed, it will offer 300 homes, available in single-family as well as a small number of attached homes. This gated neighborhood is located within the master-planned community of St. Charles. The single-family homes come in three different models. Both Foxglove, with 2,058 square feet of living space, and Williamsburg, with 2,249 square feet, feature three bedrooms, two bathrooms and a two-car garage. The 2,110 square-foot Augusta model has the option of three bedrooms or three plus a den, two or three bathrooms and an attached two-car garage. Whether the model is new or resale, all have gourmet kitchens with granite countertops and GE appliances, spa-like bathrooms with soaking tubs and ceramic tile, and hardwood flooring. Available on a resale-only basis are a small number of attached homes ranging in 1,680 to 1,711 square feet in size. They typically offer two to three bedrooms, two bathrooms and an attached two-car garage. Some of the villas have larger kitchens, granite countertops, hardwood floors and walk-in closets. When residents of Heritage at St. Charles want to get in some exercise, they need to look no further than their on-site clubhouse, which has an indoor pool and spa and exercise room. Outdoors, the two tennis courts and walking and biking trails offer additional ways to stay in shape. After an exercise session or walk, enjoy the scenic ponds and beautiful scenery. For activities, the clubhouse has a card and billiards room, plus a catering kitchen and multi-purpose room for functions and events. For residents who want to enjoy a meal with a group instead of eating at home, the dining room is the perfect place for gathering together. The computer room and library offer a place to do research or read the latest novel. Across the street is the public 18-hole White Plains Golf Course, and nearby are the White Plains Regional Park and Laurel Springs Regional Park for additional relaxation and socialization time. For shopping, residents can choose Safeway, St. Charles Shopping Center, Town Plaza Shopping Center and Waldorf Marketplace, which are all located a few miles away from Heritage at St. Charles. For even more dining and shopping opportunities, residents have easy access to major highways, plus the Ronald Regan National Airport is about 45 minutes away for last-minute getaways or long vacations. When active adults want fuss-free living but with homes, amenities and activities designed exclusively for them, Heritage at St. Charles is an ideal choice.